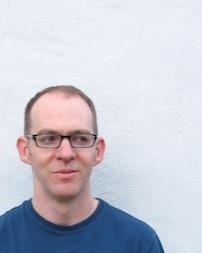 Sam Nichols is a composer who lives and works in Northern California. He's received commissions from a number of ensembles and organizations, including the Left Coast Chamber Ensemble (twice), Earplay, and the Composers Conference at Wellesley College. His music has been performed across the US and Europe by musicians such as soprano Haleh Abghari, cellist David Russell, and pianists Amy Briggs, Shuann Chai, Sabrina De Carlo, Christopher Wendell Jones, Karolina Rojahn, and Karen Rosenak. He's received awards and fellowships from the University of Illinois (3rd Prize, 2010 Salvatore Martirano Memorial Composition Prize), the International Center for the Arts at San Francisco State University, the Composers Conference, and Montalvo Center for the Arts, among others. He's been involved in a number of electronic music projects, producing several multi-media installations in collaboration with sculptor Robin Hill, and also performing with percussionist Chris Froh. Upcoming projects include an orchestra piece for two conductors, and a chamber opera after Kafka's The Metamorphosis. Born in Maine, he attended Vassar College (BA, 1994) and Brandeis University (MA 1999, PhD 2006). He works as a lecturer in the UC Davis Music Department; he also teaches in collaboration with the Technocultural Studies Program.